Spousal and family support in California can be a tricky subject, and we at Fenchel Family Law take pride in our ability to counsel our clients in all types of related matters. Whether you are a spouse looking to minimize support payments, or are looking to establish the need for support in a formal, legal setting, our San Francisco spousal and family support attorneys can help represent your case and help you arrive at a more favorable resolution. How is Spousal and Family Support Determined? In contrast to child support, spousal and family support is based on need, rather than on state guidelines. 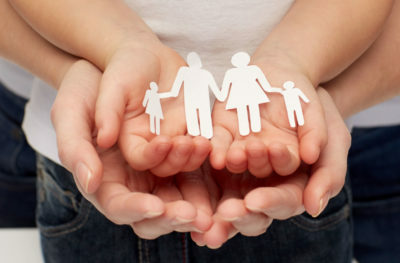 Factors that are taken into account include the age and health of both spouses, the standard of living that was established during the marriage, the status of the person who has custody of any minor children, whether either party worked during the marriage, and more. Here is where the assistance of a spousal and family support attorney in San Francisco can be critical to ensuring that all facts are uncovered during any proceedings. In addition, other factors can determine the length of spousal and family support, such as whether a marriage was long-term or short-term. In California, marriages of ten or more years are considered to be long-term marriages, and spousal support can be set without an end date. On the other hand, shorter marriages have limits placed on spousal support, usually around half the length of the marriage. Above all, the need has to be established before support is granted. Remember, a skilled spousal and family law attorney in San Francisco, such as the trusted professionals at Fenchel Family Law, can help ensure that your case is presented fairly and factually. Need A Spousal and Family Support Attorney in San Francisco? For all your spousal and family support needs in California, as well as assistance with any other matters relating to family law, look no further than Fenchel Family Law.